Boat Description The top-of-the-line 270 Sundeck, shown here with an optional water sports tower, is far and away our most stunning sport boat yet. Just look at her graceful lines and classic profile. 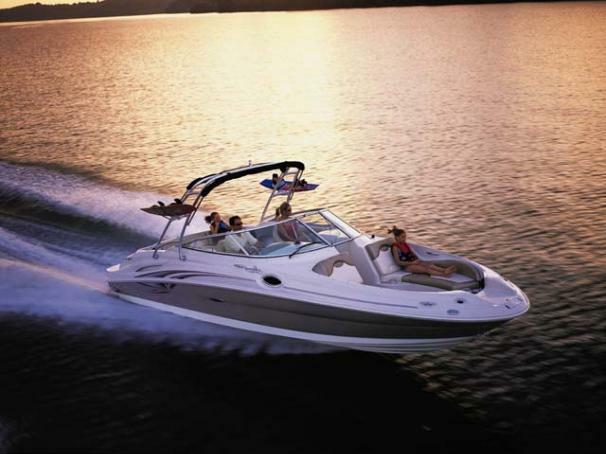 But check out her 320-horsepower, MX6.2L MPI Bravo III MCM stern drive engine, because there she`s all muscle. From the fiberglass, anchor storage area at the tip of her bow, to the fully integral swim platform aft, this beauty is a pleasure to behold.